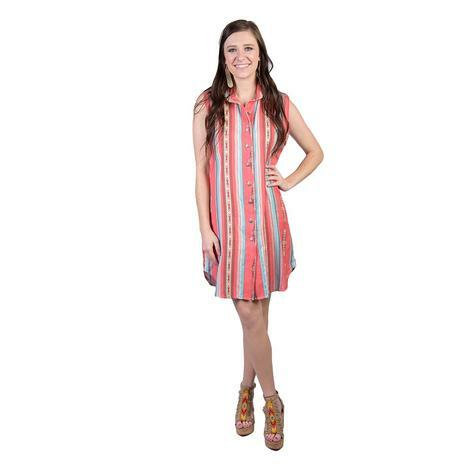 This dress is perfect for the warmer weather coming up! 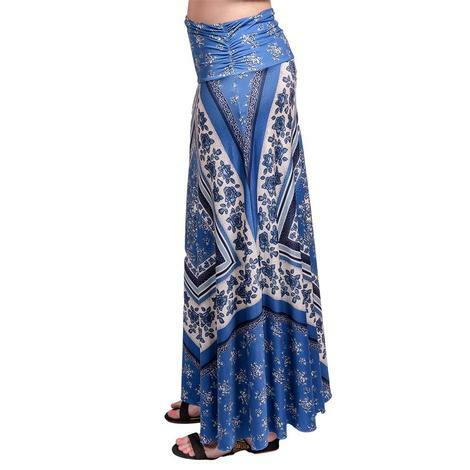 It falls just above the knee which is a comfortable length to stay cool and to wear at your next backyard barbeque with your favorite people. 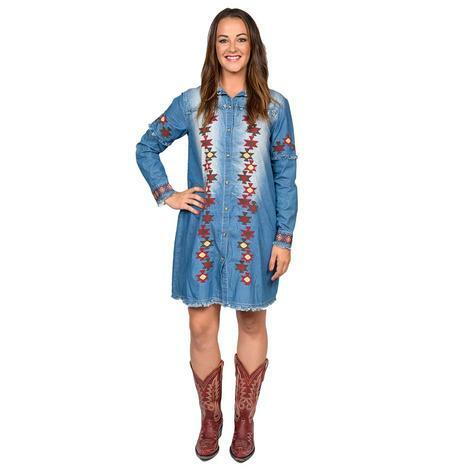 Look fabulous and match this with your favorite hoop earrings and cowboy boots or sandals. 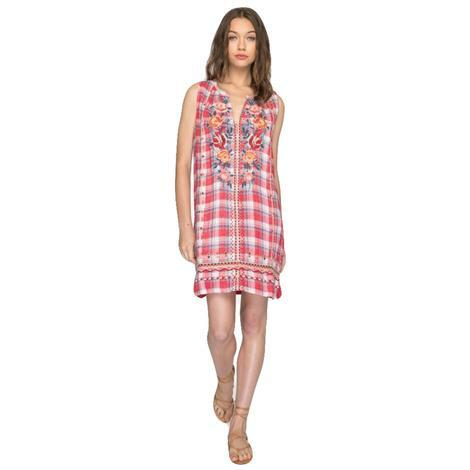 Johnny Was red plaid designed tank dress lets you enjoy the warmer weather in style. 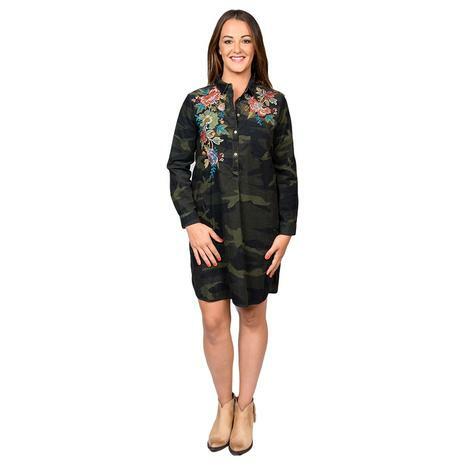 Floral embroidery adds that special touch of dainty to the v-neck and across the bottom hemline. Top it off with your favorite sweater. 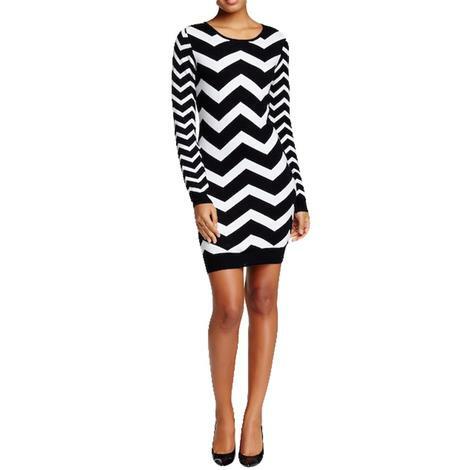 Black and white chevron patterned women's dress with beautiful scoop neckline. 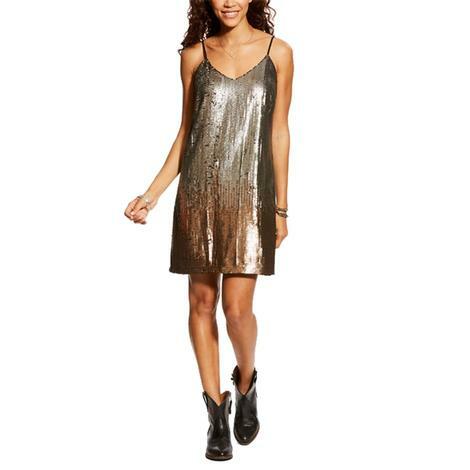 Midthigh hemline and long sleeves accentuate long lines. 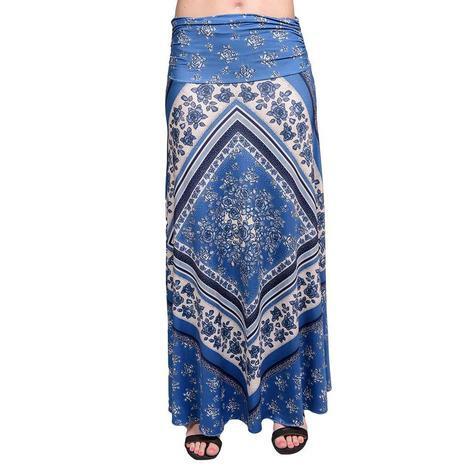 Comfortable and can be dressed up or down for every occasion. 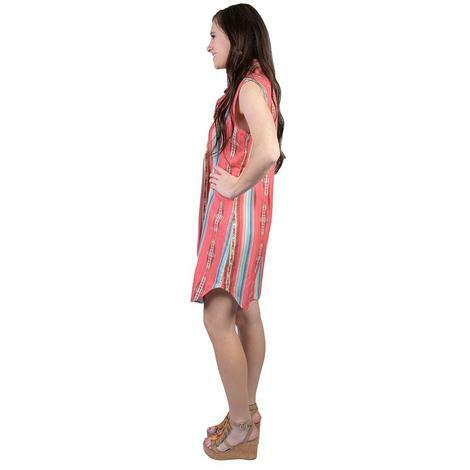 Great Johnny Was Roistely jumper is a staple item for summer time. Cool, flowy, cupra rayon with a button front closure and a drawstring elastic waist. The back is just as prettty with a racerback and a unique embroidered design on both the front and the back. 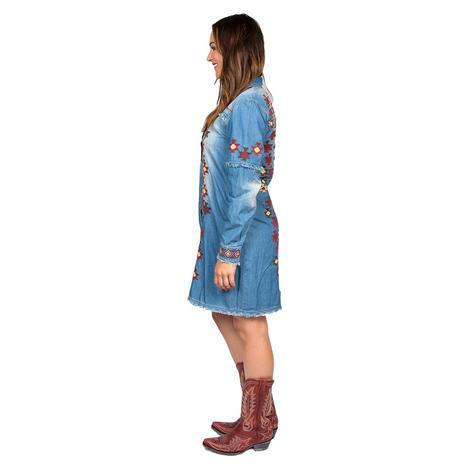 This long wild rag dress by Tasha Polizzi has a polyester and spandex build with a long floral print that's sure to grab everyone's attention in the room. 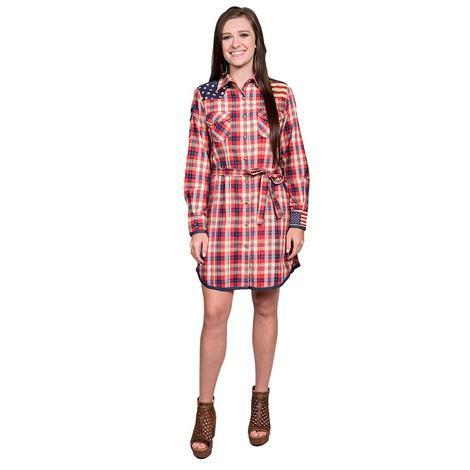 This tunic has cotton construction with a classic plaid design and an American flag along the back. 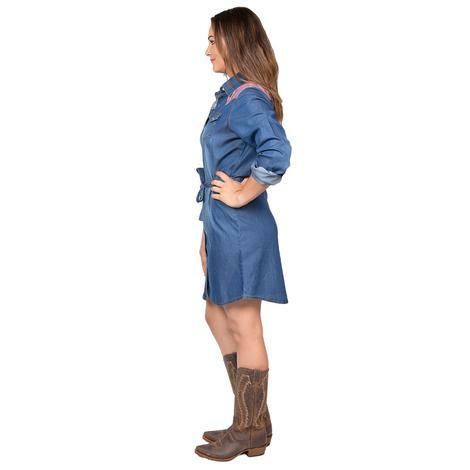 This is the perfect wear for 4th of July! 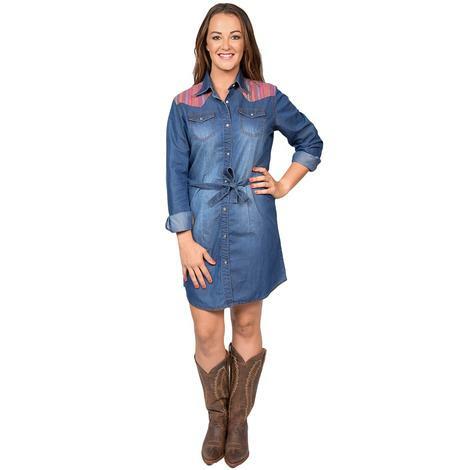 This western denim dress features cotton/polyester blend, snap front, and above the knee length. 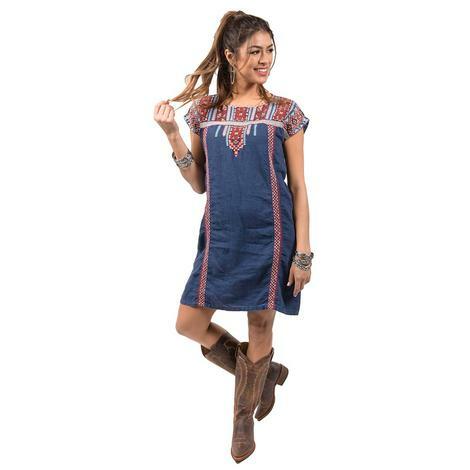 This fun and flowy dress by Panhandle Slim is blue with arrow print throughout and features an open shoulder design that's bold and flattering. Knee lenth. Order yours today! 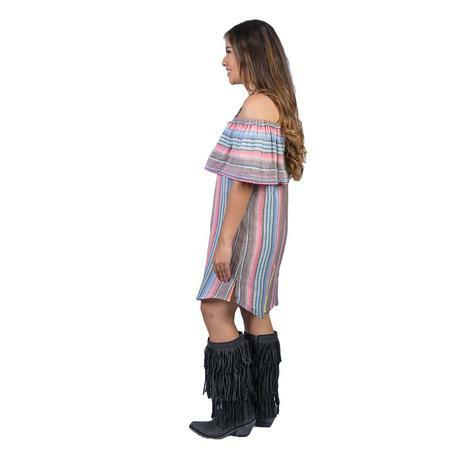 This pretty senorita serape dress by Tasha Polizzi is constructed from a lightweight cotton and features a off-the-shoulder style and pretty ruffled neckline. 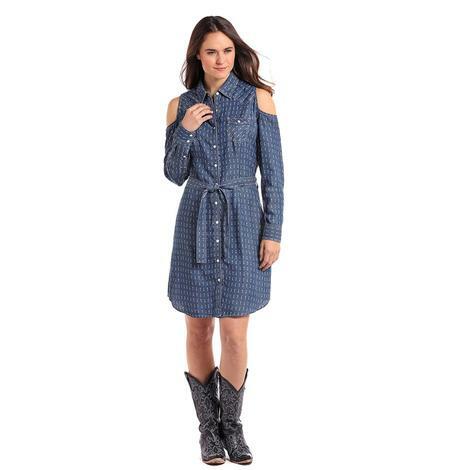 This dress/duster combo by Silverado is a must have for your spring and summer wardrobe. Add it to your collection today!